Pygmy elephants are found only on the northeast tip of the island of Borneo, and inhabit forests near water sources and grasslands. Borneo pygmy elephants are smaller than other Asian elephants, chubbier, and have bigger ears and tails. 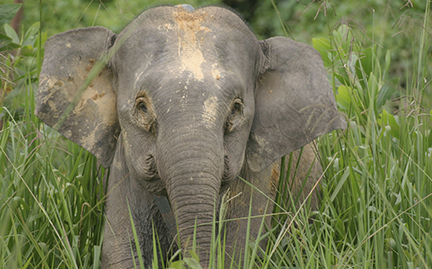 The top threats to pygmy elephants are habitat loss and conflict with humans.